189619 Captain Nigel Whitehead was drafted into the Burma Rifles Regiment as an emergency commissioned officer (ECO) during the early years of WW2. He had previously worked within the Justice System in Northern Burma as a Resident Magistrate and so, very much knew the ways of the local area and its inhabitants. Nigel arrived at the Chindit training camp at Abchand in the Central Provinces of India on the 3rd September 1942 and was posted to 8 Column, under the command of Major Walter Scott of the King's Regiment. Captain Whitehead and Major Scott forged a friendship that would last throughout the next two years and both Chindit campaigns. Captain Whitehead took command of the Burma Rifles Platoon in 8 Column. 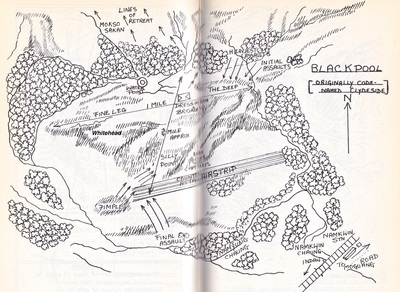 There was a platoon of Burma Rifles in each of the seven Chindit Columns on Operation Longcloth. This was usually made up of 30-40 personnel and led by two British officers, one holding the rank of Captain, the other a Lieutenant. 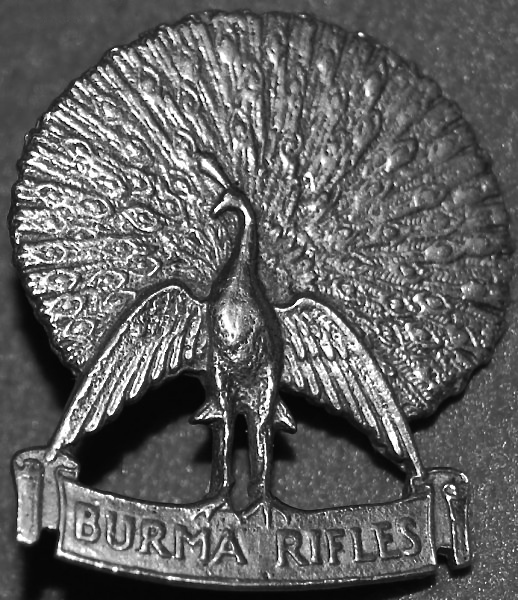 Subsequent to this, there were Burmese officers holding the ranks of Subedar (senior native officer) and Jemadar, which was the equivalent of a 2nd Lieutenant in the British Army. Not many men with the rank of Subedar took part in the first Chindit expedition, leaving in most cases, young and inexperienced Jemadars to perform the role of section commander. The rest of the platoon was made up of two Havildars (Sergeants), four Naiks (Corporals), Lance-Naiks and Riflemen. Nigel Whitehead's experience and knowledge of the terrain covered by the Chindits in 1943 proved invaluable. On the 23rd February and not long after the Brigade had crossed the Chindwin River, Whitehead informed a conference of senior officers that: "We are going the wrong way." His protest was ignored by the lead scouts of 7 Column, who had been ordered to search out a suitable route towards the village of Sinlamaung where a Japanese garrison was thought to exist. After marching for some considerable time and often through almost impenetrable bamboo scrub, Whitehead was finally brought forward and took control of proceedings from that moment on. In those early weeks behind enemy lines in 1943, Whitehead was often used as liaison officer between 8 Column and the other Chindit units (mostly Wingate's HQ and 7 Column) in the vicinity. 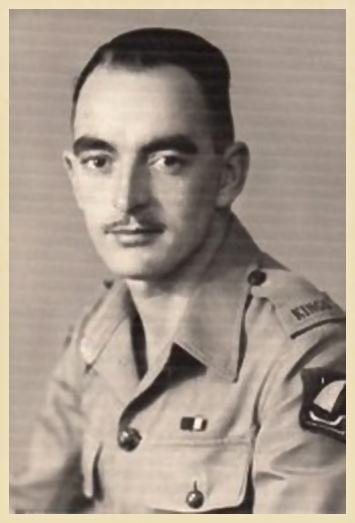 He was in charge of 8 Column as the unit moved along the secret track, used by Northern Group to bypass the Japanese garrisons stationed in the Zibyu Taungdan Escarpment. 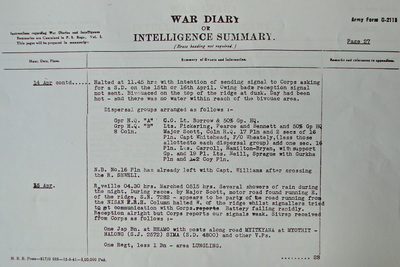 On the 5th March, the Commando Platoon from 8 Column found itself cut-off from the main column by an ambush from a Japanese patrol. After a long and hard-fought battle across the Pinlebu-Kame motor road, the commandos were struggling to disengage from the enemy. Captain Whitehead and a section of his Burrifs went forward and with covering fire, opened up an escape pathway for the beleaguered men. 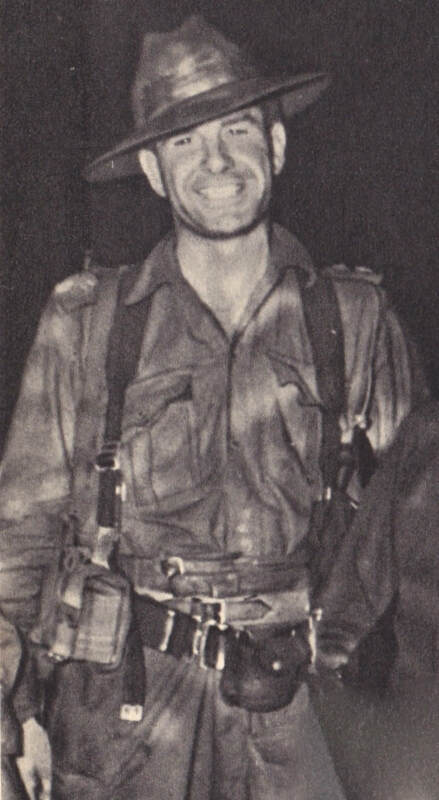 After the engagement at Pinlebu on the 5/6th March 1943, Major Scott issued this statement: The work and actions of Captain Whitehead during the last 48 hours are an example to all other officers. 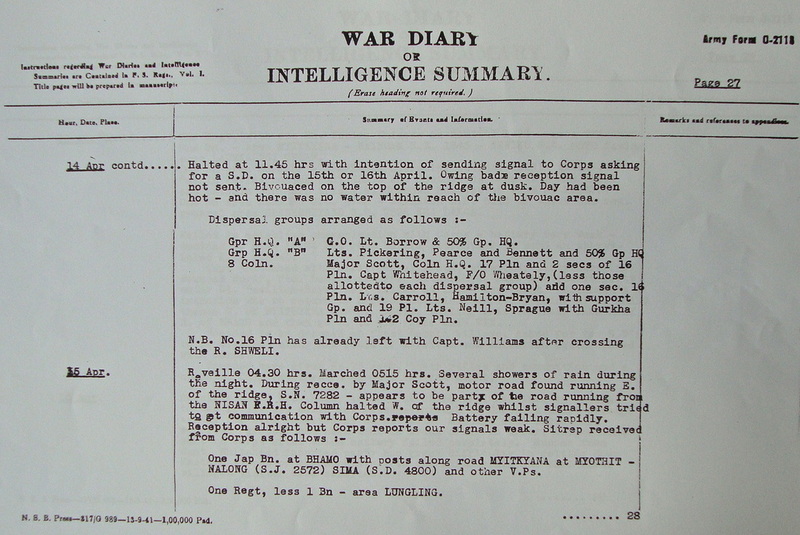 One week later, on the 13th March, Whitehead's Burrif platoon were in action again, this time at a village called Kyunbin. They had been sent ahead to seek out a suitable location for the next supply drop and had chosen the paddy fields on the outskirts of the village. After the drop zone had been secured, a Japanese patrol stumbled upon the area and a short firefight ensued. The enemy were well beaten by Whitehead's men and those Japanese who were not dispatched at Kyunbin, quickly withdrew from the area. On the 3rd April, 8 Column were waiting to cross the treacherously fast flowing Shweli River. Two days previously, on their first attempt to cross the river, Captain Williams and his platoon had succeeded in getting over. This group had then become separated after the next section of men accidentally lost control of the boats used and were washed away downstream. After coming to terms with this latest disaster, Major Scott called up the RAF to drop more dinghies to the column and these duly arrived the next day. It was decided to split the column into three groups after crossing the Shweli, this was to ensure that if the Chindits met with any enemy interference on the opposite bank, they would not all be in one place and easily engaged or captured. It will come as no surprise, that Captain Whitehead was chosen to lead one of these groups. 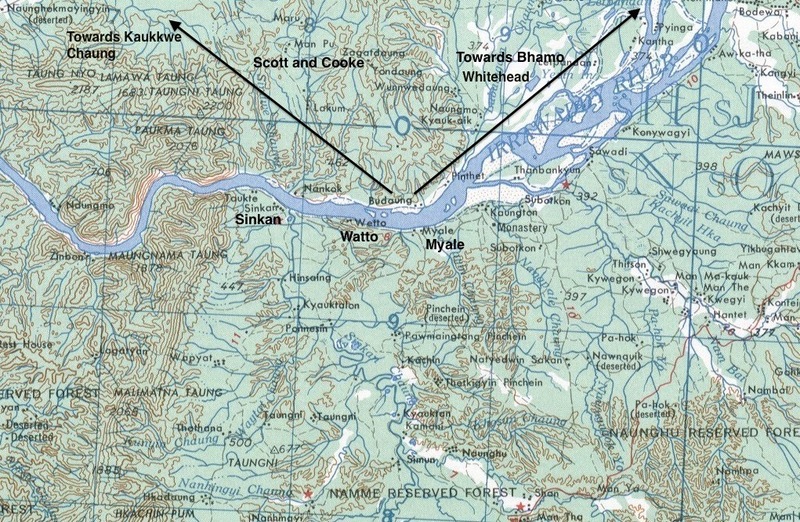 A few days later, the three groups re-formed at a pre-arranged rendezvous and began their approach towards the Irrawaddy, close to where the river meanders near the village of Myale. On 12th April, the front of the column was approaching a newly built bamboo bridge over a chaung when they bumped into a couple of Japanese who turned and bolted back into the jungle. Intense firing broke out and Sergeant Bridgeman and Private Beard were killed, while Privates Lawton and Witheridge were both seriously wounded. 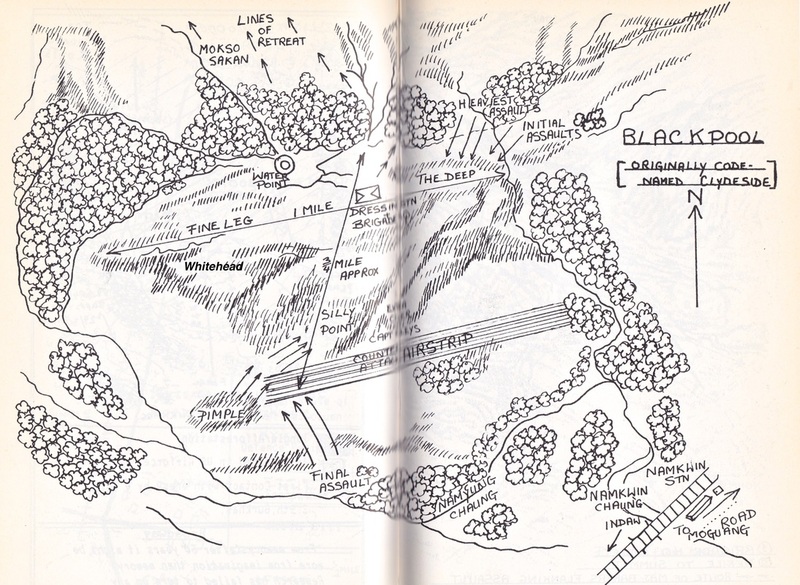 Most of the column turned around and disappeared along the track they had come down, leaving Major Scott and a small party of men isolated for a short time. It was not until the evening that the column reassembled and it was discovered that Lieutenant Horncastle and 14 others were missing. It was thought that they might have subsequently moved off as a separate party. Captain Whitehead's group was considerably larger than most, being made up of around 60-70 men. The reason for this was that he had agreed to take with him a number of sick and wounded men from Platoon 16, many of these soldiers needed to be carried on stretchers and had been battle casualties at the village of Baw on the 23rd March. 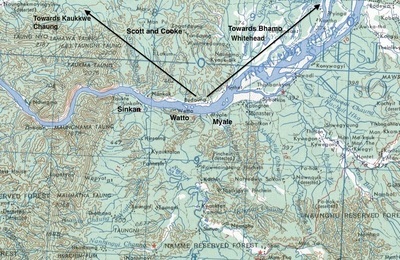 Whitehead's intention was to find a friendly Kachin village in which to leave these men and then take the rest of his party back to India. After several days of searching no suitable village was found, in fact many of the villages listed on the Captain's map no longer seemed to exist. Seen below, a page from the 8 Column War diary, describing the allocation of the dispersal parties and a map of the Irrawaddy and the dispersal routes taken by each group. Please click on either image to bring it forward on the page. 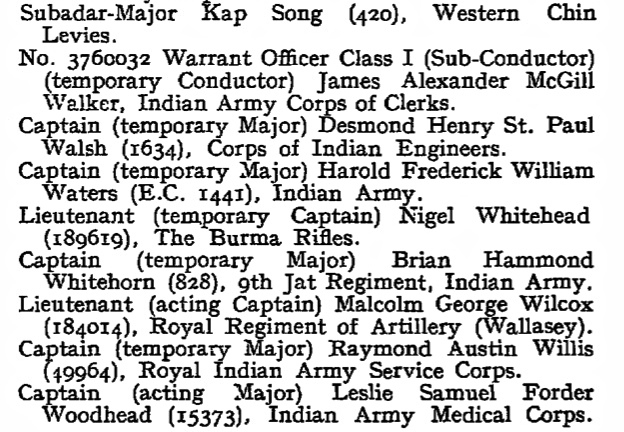 Seen in the gallery below, are photographs of some of the men mentioned in this story. Please click on any image to bring it forward on the page. I took command of the party and we pushed on north, averaging approximately 12 miles a day. Progress was slow due to nature of the country and terrain. The men began to tire, for weeks of surviving on a diet of rice, bamboo leaves, roots and dried monkey meat when we could get it. Besides this, everyone was suffering to a greater or lesser degree, from fever, dysentery and septic jungle sores. Our uniforms were just rags and many men had no protective footwear. Our route was leading us into the hills of up to 5,500 feet and the men were becoming lethargic. I remember that sentry duty whilst guarding the camp at night became extremely arduous at this time. 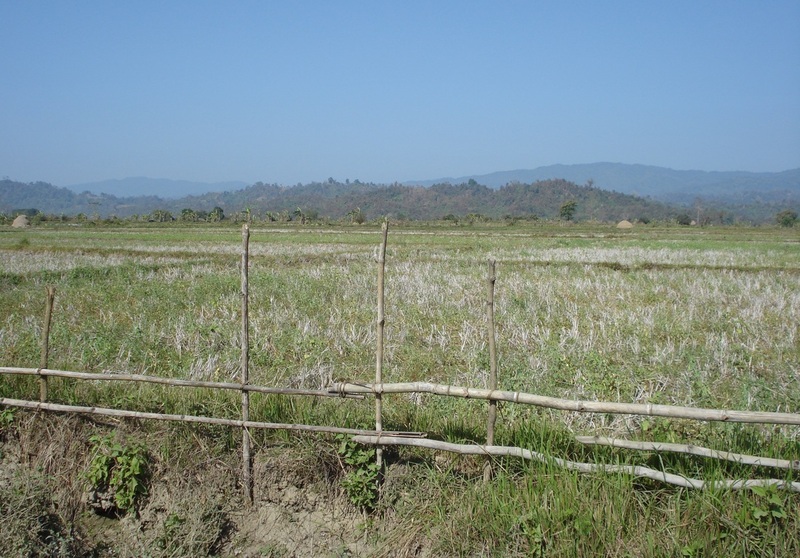 Having no maps of the area in which we were travelling and only one compass, I had to rely on the knowledge and skill of my Kachin Jemadar, Ah Di of the Burma Rifles. His fluency in the various dialects made him invaluable in obtaining information from villagers. In the hills opposite the east of Bhamo I lost one Kachin and two Karen riflemen, who decided to take their chances and head home. It was also at this time that we picked up Lieutenant Smyly of 5 Column, who was in a very weak state and barely able to walk. He was left in a friendly village, with Jemadar Ah Di instructing the villagers that they would be held responsible for the officers safety. Everyone was now in a very weak state and at this time the Gurkhas were on average, sticking at it better than the British soldiers and the Burma Rifles. 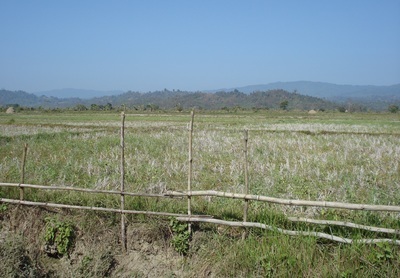 Through the efforts of Ah Di, we hired a Kachin guide who had once been with the Burma Frontier Force. He led us north and entered all villages first to check for Japanese patrols and to acquire rice to supplement our meagre rations. The Kachins in this area were very poor indeed and fearful of the Japs, but on the whole extremely friendly towards us. 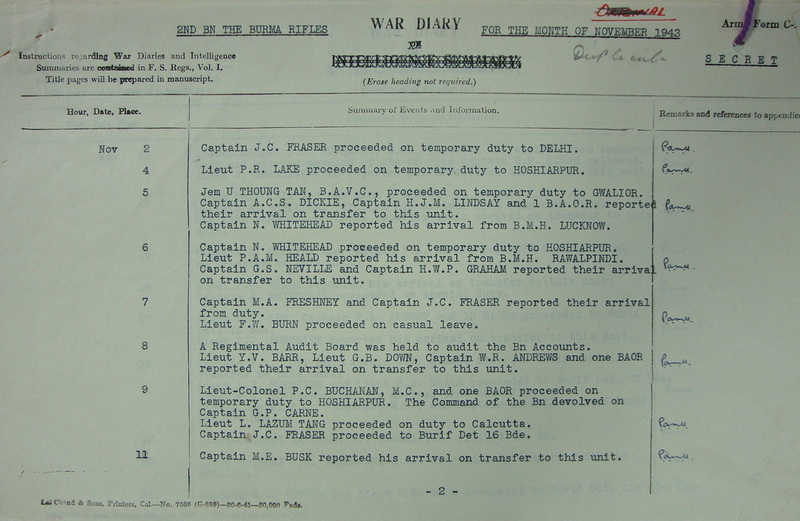 There is no further information available, as to the fate of Captain Whitehead and the other officers lost during the ambush on or around the 18th April 1943. We know that Nigel Whitehead made it safely back to India after Operation Longcloth, by the fact of his continued service during the Burma Campaign. Medical Officer, Captain J.D.S. 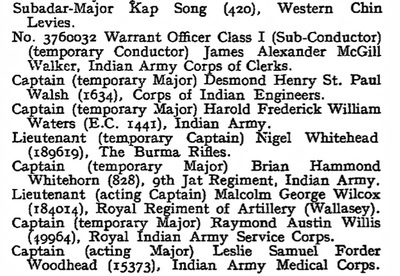 Heathcote and Lt. Hamilton-Bryan do not appear on any listing for soldiers killed in action in Burma, or indeed being held as prisoners of war. So it must be assumed that both men returned safely to Allied held territory in 1943. 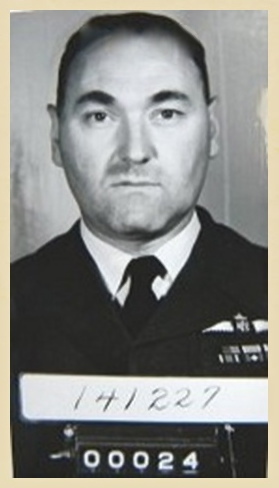 Flight-Lieutenant Kenneth Wheatley of the Royal Canadian Air Force, did have the misfortune of falling into Japanese hands after being captured on the 27th April near the Burmese railway town of Mohnyin. 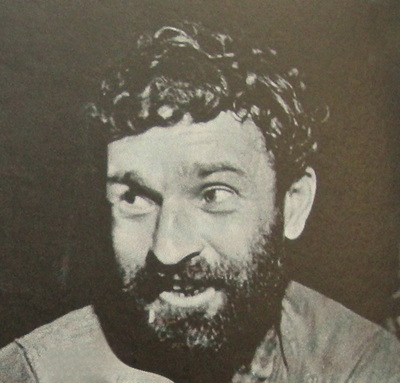 Kenneth spent just over two years as a POW inside Rangoon Jail, before being liberated by British troops at the village of Waw near Pegu, on the 29th April 1945. 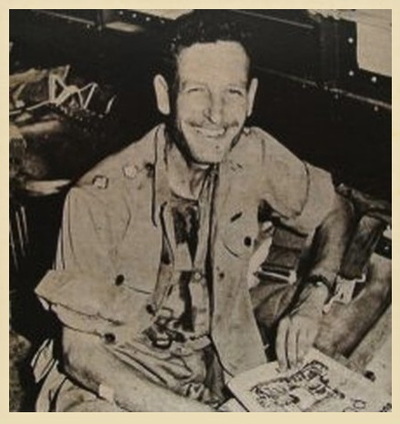 During all the operations from February through April 1943, this officer performed admirably the duties of officer commanding the Burma Rifles detachment with No. 8 Column. He showed real energy and resource in all the activities in which he engaged, whether foraging for food or in the collection of intelligence, which was always of a high standard of accuracy. He also undertook many other duties within the column, and enjoyed the confidence of his Column Commander to a high degree. 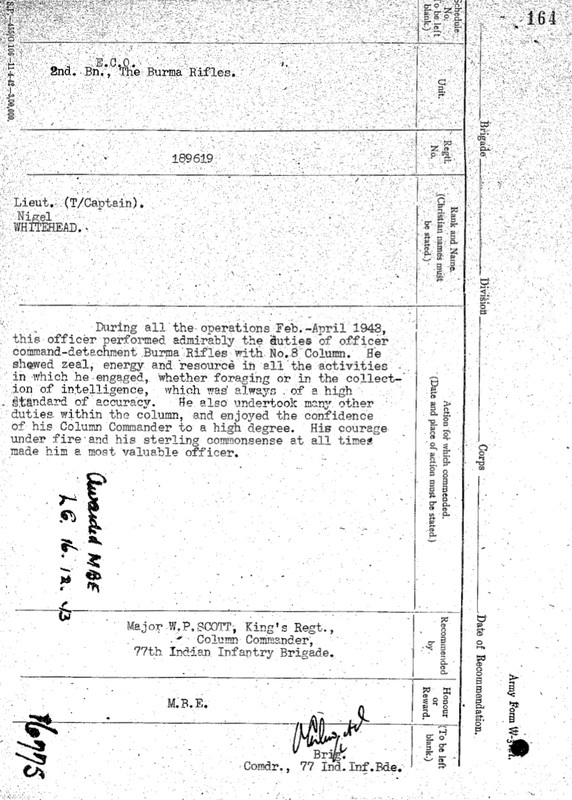 His courage under fire and his sterling commonsense at all times made him a most valuable officer. 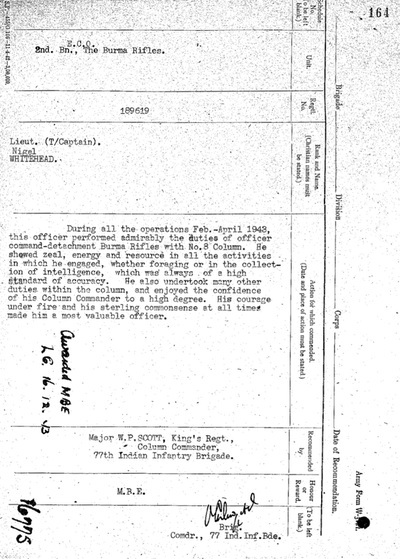 Award Recommended By: Major W.P.Scott, King's Regt. Column Commander, 77th Indian Infantry Brigade. Commander 77th Indian Infantry Brigade. Seen below are some images in relation to this story. Please click on any image to bring it forward on the page. After Operation Longcloth, Captain Nigel Whitehead returned to the ranks of the 2nd Burma Rifles, who were now stationed at Jhansi in the Indian state of Uttar Pradesh. He had spent sometime recuperating from the rigours of the first Wingate expedition, including a spell in the British Military Hospital at Lucknow. In November 1943, he was posted once more to the 77th Indian Infantry Brigade, this time under the overall command of Brigadier Mike Calvert and began training for the second Chindit expedition, Operation Thursday. Whitehead teamed up again with Walter Purcell Scott, now promoted to Lieutenant-Colonel and in charge of the King's Regiment's contingent in the Brigade, numbered as 81 and 82 Column. The King's were the first Chindits to enter Burma on the 5th March 1944, landing in gliders as the spearhead of the invasion and securing the perimeter of the original stronghold, codenamed Broadway. Later, in early May, Columns 81 and 82 moved north to assist with the construction and defence of another Chindit block called Blackpool. Blackpool did not prove successful as a Chindit stronghold and was soon under intensive enemy mortar, machine gun and artillery fire. On the 23rd May, the Japanese broke through the outer-perimeter of the block and attacked the area where the King's were positioned. This was a hillock given the codename of Whitehead, in honour of the officer charged with its defence. This was of course, none other than Captain Nigel Whitehead of the 2nd Burma Rifles. Over the course of the next 24 hours the two sides battled ferociously over this territory, which was now turned to liquid mud by the torrential monsoon rains. All around the perimeter the enemy came at us again and again remorselessly and relentlessly, taking all the devastating fire we poured into them and still coming back for more. We were taking heavy casualties, but their casualties must have been horrendous. Some of the fighting was quite desperate. 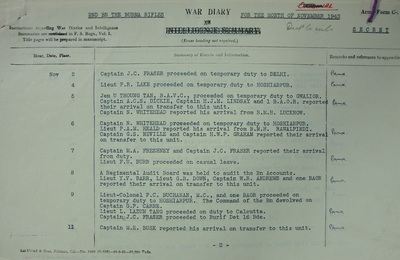 Captain Whitehead's patrol had been relieved on the feature carrying his name during the evening of 23rd May, but then found they could not withdraw. They fought on until 17.00 hours the following day, completely surrounded, until their ammunition ran out. By a stoke of incredible good fortune, at that very moment a parachute container of ammunition, from the very last supply drop, drifted down and landed at their feet. The men continued to resist until dark. The twelve survivors of the once 35 man patrol then slipped through the Japanese lines and made for what was known as Basha Ridge. 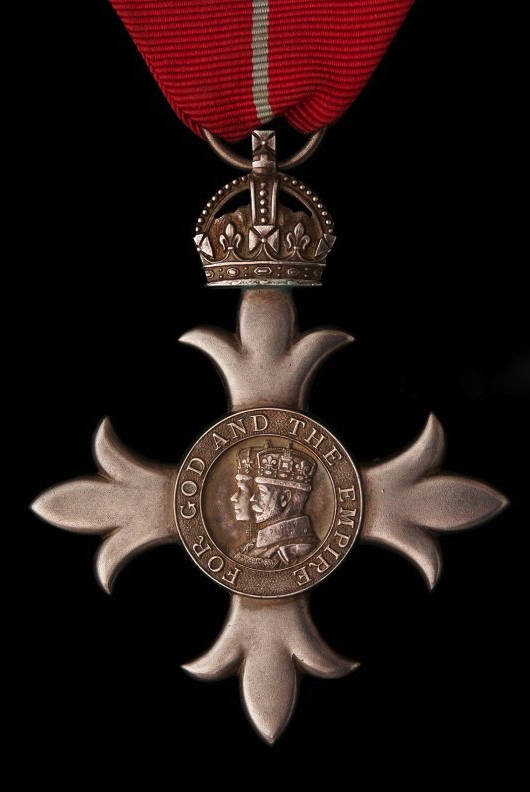 Unfortunately, Blackpool Block was not in operation for very much longer and in spite of desperate and tenacious defence by the men of 111 Brigade, the position was overwhelmed on the 25th May and had to be abandoned. The surviving Chindits marched wearily away to the north, making very slow headway across the flooded terrain and often knee-deep in mud. It must be presumed that Captain Whitehead was marching with them. To conclude this story, seen below are two images of the Blackpool Stronghold. Firstly, a contemporary sketch map showing the various strategic positions within the Block and secondly, a panoramic photograph taken of the Block location in March 2008. Please click on either image to bring it forward on the page.